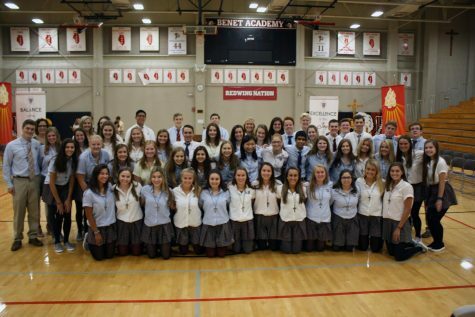 Homecoming week is one of the most eventful weeks of the school year at Benet Academy. One of the biggest events on the schedule is the annual Homecoming football game. This was certainly no exception this year, when the Redwings blew out the St. Viator Lions at Benedictine Stadium in a 42-14 mauling. St. Viator kicked off the game by recovering an onside kick on the first play of the game, but the Redwings managed to flip the script with an interception by senior cornerback Billy Lawler. With the ball on the Lions’ 30-yard line, Benet had no problem putting points on the board, scoring off of a one-yard run by senior running back Ben Hickey. Relying on their running attack would become a trend throughout the game, as the Redwings scored five of their six touchdowns on the ground. Hickey finished the game with three touchdowns and 111 rushing yards on 28 carries. Senior Mike Wymer, a senior linebacker who started seeing more time at running back after Hickey suffered an injury against Moline in the second week of the season, picked up two touchdowns, as well. Benet’s passing attack was also effective, giving their offense versatility in play calling and more efficiency on play action calls. Junior quarterback Colin Gillespie completed 18 of his 25 pass attempts for 204 yards and one touchdown: a 13-yard dart to senior wide receiver Luke Flaska. 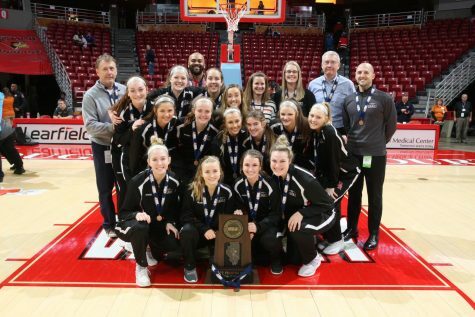 Benet’s offense was helped immensely by their defense’s dominance. 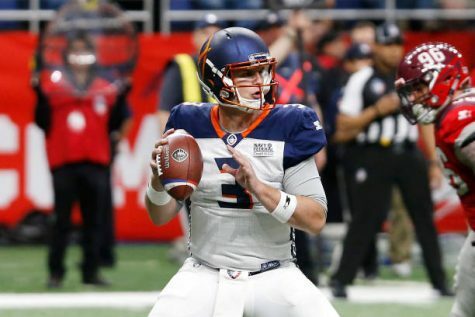 Holding the Lions scoreless through three quarters, the Redwings gave their offense the opportunity to expand their lead to massive proportions. They held St. Viator to eight three and outs on offense and only allowed four first downs all game. Both Benet’s secondary and their front seven excelled through the night: Lawler snagged his first two interceptions of the season, while senior defensive end Jack Benish continued his stellar season by picking up two sacks off of the edge. At 5-2, the Redwings have the pedigree of a playoff team. With just one more home game on their schedule – a showdown with powerhouse Marist on October 19 – Benet looks to carry some more momentum as the regular season comes to a close.